It’s Not Illegal Yet . . . This is a rerun. I first published in May of 2010. I think you’ll get a kick out of it. And when you’re done, I’ll tell ya why I’m running it again! Talking on the cell phone while driving isn’t illegal in Texas yet, but that’s not much of a defense. I don’t advocate the practice. In fact, just last Wednesday I grumbled at someone who pulled in front of me on the highway because he was paying more attention to his cell phone than he was to my fast-approaching car. Actually, I don’t think “grumbled” is accurate. “Grumbled” implies I muttered under my breath about moronic drivers. No, I pretty much hollered at him through the windshield: Get off the phone, you moron! Not that he could hear, but it helped ease my hammering heart. Granted, on long stretches of empty highway, I’ve been known to call a friend or two. I chat, but I never punch in the number while I’m driving, and I cut the call off when I enter traffic or a town. I always try to be careful. Usually, if my cell phone gets used, it’s because I’m placing a call. No one ever calls me, primarily because we don’t get a signal out where we live, so hearing my ring tone always takes me by surprise. Last Thursday, for instance, Mom and I were sitting at the IHOP in Bryan having our midmorning syrup fix when my phone started singing. I looked around, trying to figure out where the noise was coming from and pinpointed its location in my purse. The restaurant was a safe place to have a conversation, and Mom didn’t mind since the call was from her nurse. But later in the day, we were in deep, hectic, college-kid traffic on University Drive, and my phone went off again. Let me interrupt here and get this off my chest: Drivers licenses should never be issued to people who believe themselves invincible. You know the ones. They’re convinced of their own immortality and equally convinced that if you’re not immortal, you shouldn’t be on the road anyway. Folks like that shouldn’t be given cars and trucks. It’s just too dangerous for the rest of us. (And there’s my pet peeve of the day). Anyway, like I said, my phone rang–twice in one day! Unheard of! As I negotiated traffic, I searched my purse for the cell and poked the button to answer. Of course, what I should’ve done was to let Mom answer for me. Or to see who it was and call back. Or virtually anything other than answer. But I answered, and who would’ve believed it? It was Pam from ACFW telling me The Cat Lady’s Secret was a finalist in the Genesis Contest! It’s hard to jump up and down in a car. Just so ya know. I held the phone away from my face and shouted Woo-hoo! a couple of times before trying to catch the rest of what Pam was saying. I still don’t remember what all she said. My attentions were split between wanting to do somersaults and needing to turn toward our destination. I managed to make the turn without running a red light or getting anyone killed, but I landed in the wrong lane. I was in the turn lane, but we were supposed to go straight. Which I did. The guy in the black Chevy honked and was undoubtedly hollering at his windshield, Get off the phone, you moron! I’m a finalist in the 2010 Genesis Contest! I didn’t win, but what an honor it was! So, do you have an idea of why I’m rerunning the post? And I’ll be doing all sorts of fun stuff between now and then, including the “Cat in a Coffee Cup Giveaway” on June 12th, where I’ll be giving away a new coffee mug every twenty-five minutes for two hours! It’s gonna be a blast! If you’re not already a fan on my Facebook Author Page, come and hit my “like” button so you won’t miss all the action, and keep an eye on 777 Peppermint Place for stories about the novel, interviews with the characters, and more! 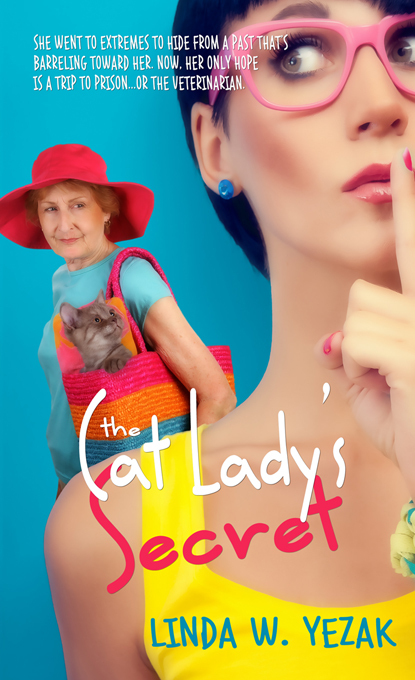 This entry was posted in Misc., Personal, Promotion/Publicity/Marketing, The Cat Ladys Secret and tagged ACFW, Cell Phone, Genesis contest, IHOP, Linda W. Yezak, Texas, The Cat Lady's Secret. Bookmark the permalink. 35 Responses to It’s Not Illegal Yet . . . Thanks, TK! I expect talking on the cell to be illegal here in Texas soon. It really is dangerous. But I sure am glad I got that call!!! Did you enter GIVE THE LADY A RIDE in that contest? I’m sorry I’m not familiar with the Genesis Contest. I’m happy to offer my congratulations regardless of whether I know exactly what I’m talking about or not!! Ride finaled in 2008. Didn’t win, but I got a lot of great suggestions about how to make the book better. American Christian Fiction Writers (ACFW) holds the contest every year. 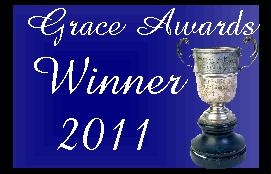 It’s a pretty big deal to win it, but I’m just tickled pink to have finaled twice! Great news that is guaranteed to keep the spirits up for some time. Well done. That’s hilarious that you look around obliviously wondering where that noise is coming from your phone rings. I do that too. 😳 Super huge congrats on the contest! Hope you win everything! LOL!!! I’m so glad I’m not the only one! Congratulations – I’m rooting for you! Hey, Sweetheart! What a pleasant surprise! I’m glad you liked my story. Thanks for coming by! Congrats! I talk on the cell, too, but not when it is busy or when traffic is bad. It is so rare to talk on the phone while driving anymore. I get irriatated, too, when people drive around as if they are invincible talking on their cell phones and pulling out in front of me. Do you know what’s worse? Driving and putting on makeup or eating your cereal from a bowl. No kidding. I witnessed that, too. The cereal thing took the prize though because she was using a spoon. I have no idea who was holding the wheel. Maybe her knee? I saw a young collegiate reading while she drove. Had her book propped on the steering wheel, holding it with her hands on the 10 and 2 positions. I sure hope she got to where she was going! I’m just so hyped for you. I oughta call you. On your cell phone! P.S. My son was rearended last year. Yep, gal on cell phone. Thanks for the congrats, Sandy! Was the woman who rearended your son insured? A BIG CONGRATULATIONS!!!!!!!!!!!!! Here in Michigan, tickets can now be given for texting. But I drive a Ford which has a SYNC system so when my phone rings I can get it through voice commands or call someone through voice commands. Also works with my ipod, so I can switch music without ever having to look at my playlist ever again!! Great feature!!! And maybe more car manufacturers will think about adding this! Have a great week!!!!!! Great post! Its infuriating how many drivers think they can handle the distraction of using a cell phone while driving. Driving a car is such a serious responsibility. I can’t believe it when people assume they can safely drive a car while sleepy, drunk, or on a phone. A Dallas attorney, Amy Witherite, has researched and posted very informative articles which I have appreciated when wanting to be informed about driving dangers, responsibilities, and recovery. Yeah, I’ve seen kids weave in and out of their lane while texting or whatever. It’s just dangerous! I’ve started turning my phone off while I drive. I have to be alert for those who don’t. Great article, Linda! And I’m hoping that the re-post means you received good news??? Yes ma’am–that I do! I reposted this to announce the release of The Cat Lady’s Secret in June! Hey, Linda, I think some of your readers think I JUST called you to tell you that news and not several years ago. LOL I remember that conversation well. When you told me you were driving, I said “Pull over, you fool!” Well, I didn’t call you a fool, but I did advise you to pull over LOL. We’ll soon be making calls to the semifinalists for this year’s contest. That’s the fun part of coordinating the contest. Love those squeals of joy. If anyone wants more info on the Genesis or any of ACFW’s writing contests, go to http://www.acfw.com and click on the “Contests” link. You did tell me to pull over, I remember now! I couldn’t because I was at a red light that was just turning green, and from there, I was surrounded by high-tempered college kids! Thanks for giving the link. Can’t wait to see who got the call in 2014! 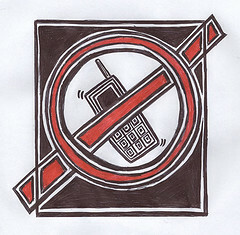 I forgot to mention that it is now illegal to use a cell phone, unless you are hands free,. in Illinois. This started January 1st of this year. I still see people talking on their phones. I was in front of one just yesterday. I know from personal experience that talking on the phone can be dangerous, even in rural areas. I was so busy yakking and driving down a country road that I blew right through a four-way stop in the middle of nowhere and a truck swerved and missed me. My heart was in my stomach. I told my friend I had to hang up and, with shaking hands, I turned around (I also missed my turn before the stop sign) and crept back up the road. I am am glad the law is in effect. I know not everyone is obeying the law, a lot are and that has to be preventing accidents. Glad you survived your near-death experience with the truck! I can’t wait for the rest of the world to read what I already love! Linda let me have a sneak peak back in 2010 or 2011, and I went nuts over this fun and well-written book! I can’t wait for it to hit the bookshelves! I’m sitting on the couch, so I can focus on the screen and add my, whoo hoo! Congratulations on the upcoming release! And thanks for posting those cat pics on Facebook. The memes not only make me smile, they make me want to adopt a cat! I see all those cat pics on Facebook and I start yearning for a cat or two again. I waffle a lot, but I’ve had cats more years I’ve been alive than not. I still miss my Max who died about seven or eight years ago. He was my fave, but I loved them all. My Tom died around the time your Max did. He was my fave too. Losing him was especially painful. We had to put Belle down earlier in the year, and I still miss her like crazy. Cuddlebug is going to the vet this week. I’m afraid she might have diabetes like her mother (Belle) did, and I want to catch it *much* earlier. And if Kimberli wants to adopt a cat, you know you’ve impacted her LOLOL. I don’t dare look at those pics or I’ll be running off to the nearest animal shelter! No kidding! A dog-lover friend sent me a pic of a basset in the Nac pound, and it took a gallon of self-restraint not to go rescue him. Thanks, Liberty! I’m anxious to get my hands on it!